If you live in Robstown, you're in the Utility Business. 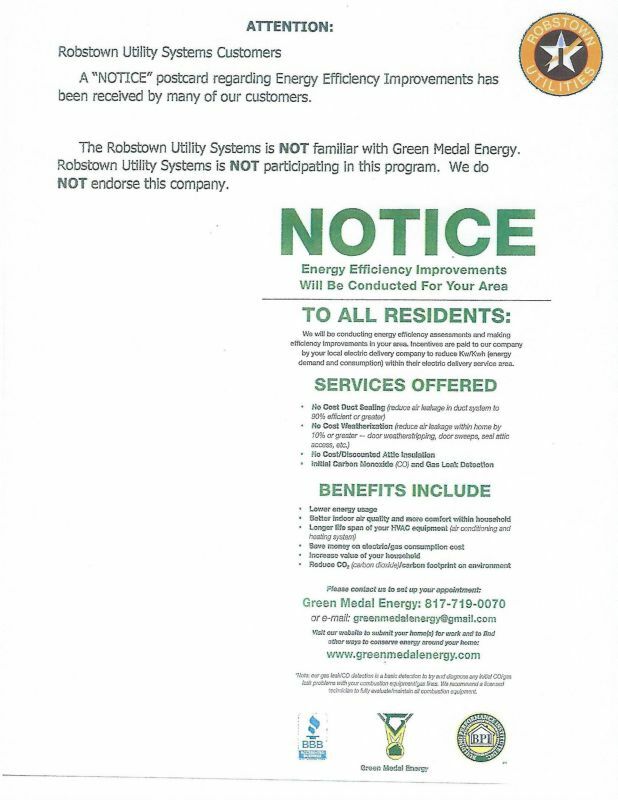 Someone identifying themselves as the Robstown Utility Systems is trying to schedule a service. DO NOT provide any personal information. Call 361-387-3554 press option 2. Please be advised that we changed providers for our web payments. Our site is already redirecting customers to our new provider. On November 2nd, the old web payment link will shut down. Our new link will allow for one time payments, or you can manage your account (as previously done) by registering your account information.